Cowon Plenue D2 review | What Hi-Fi? The demise of the Apple iPod (only the Touch remains from the original five-strong line-up) may not have left Apple fans best pleased, but it has opened up the market for other portable music player brands. Cowon is among those to have caught, and held, our attention in recent years. Its budget hi-res players have been notable for their vast file support, pocket-size practicality, accessible price and sonic superiority over smartphones. 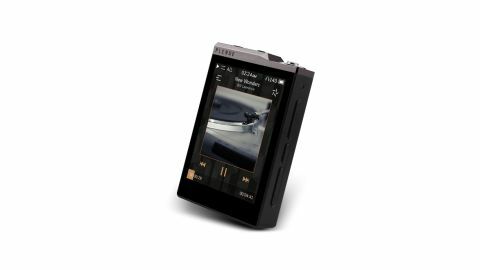 Anyone looking to transfer music duties from their multi-tasking phone to a dedicated device, but who doesn't have the budget for a higher-end Astell & Kern or Sony, should have Cowon high on their list. The Cowon Plenue D2 (also known as the 'PD2' and 'Plenue D 2nd Gen') is the next-gen version of one of the most impressive budget players we’ve encountered. The Plenue D is a current What Hi-Fi? Award winner, and while it currently sits alongside the Plenue D2, it could soon be replaced by the newcomer. We liked the original Plenue D for its budget price and vintage lighter size, but also its insightful, punchy sound and plentiful features. Among the latter are a battery life of up to 45 hours and support for 24-bit/192kHz WAV, FLAC, ALAC and AIFF files. As a ‘second-gen’ version, the PD2 promises refinement of an already proven recipe, with higher specifications and an upgraded performance. There is now 64GB of built-in storage (as opposed to 32GB), which is expandable to 192GB with the addition of a 128GB microSD card. The PD2 also raises file compatibility to DSD128 – that support is native too, so DSD files aren’t converted to PCM during playback. The PD2 is equipped with a Cirrus Logical CS43131 DAC. This chip is designed for applications where low power consumption is important and has a built-on headphone amp. Cowon claims the PD2 offers 45 hours of MP3, or 30 hours of hi-res music playback from one charge. During testing, we clock over 24 hours playing a mixed-quality library at a relatively high volume. There is also a 2.5mm balanced output here, which considering the relative scarcity of balanced headphones – they’re available mostly at the higher end of the market – we’re not convinced is a feature that many will make use of. The twin headphones outputs – one 2.5mm (balanced), one 3.5mm – have slightly increased the top ridge by a few millimetres, but that aside the PD2 could be lost in the Plenue D’s shadow. The PD2 fits into even the smallest of pockets, with playback controls (track play/pause, skip and volume) on the right panel and a microSD card slot on the left. The interface has been slightly tweaked, and organised into a basic listed view of songs, artists, albums, folders and favourites. The text-based layout and simple graphics feel a little primitive and the cramped nature of the matchbox-sized screen requires you to be precise with your touch selections. Operation is easy to get to grips with, and the responsive touch screen offers a welcome alternative to using the physical playback buttons. Album art looks pleasingly colourful, and brightness can be turned up to levels sufficient enough for a bright summer’s day, although this will impact battery life. The PD2’s sonic signature is as recognisable as its physical design and usability – clear, balanced and insightful with a confident handling of bass. But Cowon has justified its existence and a £60 price hike with a performance that takes transparency and entertainment to the next level. We play Jack Lee & Annekei’s Paper Moon (24-bit/44.1kHz) and immediately notice a greater clarity, dynamism and subtlety to the rendition. Everything in the jazzy affair – from the dainty guitar rhythms and cello backdrop, to the sweetly smooth vocal and melodic harmonica – is expertly delivered. The Jon Spencer Blues Explosion’s Bellbottoms kicks into being with greater impetus as the dramatic staccato strings build with more dynamic expression. There’s extra space, clarity and subtlety – all working together to deliver a better sense of layering to the rock opera jangle. The rendition is driven, not needing any spurring on from the iconic lyrics. And, contrary to the subject of the track, there’s no bagginess at the bottom – bass is full and tight. That deep, charismatic vocal holds all of the wild inflections and funky James Brown-inspired melodrama, too. The superior subtlety over the Plenue D really comes through on Radiohead’s Black Star, with Thom Yorke’s wailing tenor all the more insightful. Extra space in the presentation allows for a more orderly, coherent display of the electric musings and reliable drum beat that frame it. The Cowon offers over 40 EQ and phase-correcting BBE+ settings, from the more typical ‘rock’ and ‘vocal’, to the more left-field ‘Reverb Auditorium’ and ‘Reverb Stadium’ (a must-try experience with Muse’s more symphonic songs). But experimenting aside, the default ‘normal’ mode gets our vote for its superior tonal balance, focus and clarity. The PD2 may not be quite such a budget bargain as its predecessor, but it manages to justify the premium and remain majestic for the money. We haven’t heard a better-sounding budget portable music player, nor one with a battery that lasts as long.